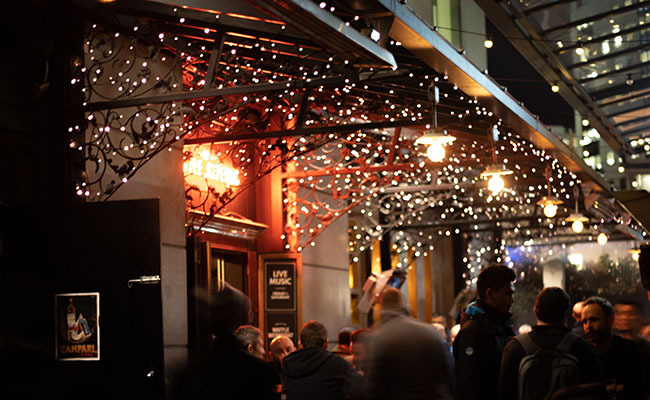 When the sun goes down, Britomart lights up to reveal a host of exciting bars and hot spots. 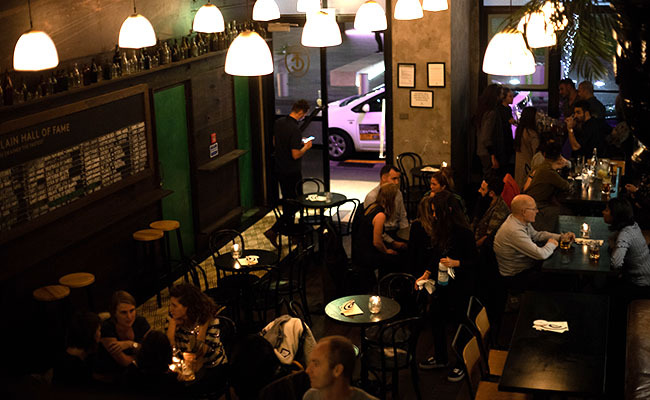 Spend a memorable evening in Britomart and you might just discover your new favourite nightery. For those who like to start their evening with a small bite to eat, the cosy XuXu Dumpling Bar is the place to go. The hand-crafted dumplings are a must try, with delectable options for both vegetarians and meat-eaters. Make sure to pair them with any of XuXu’s Asian-inspired cocktails. 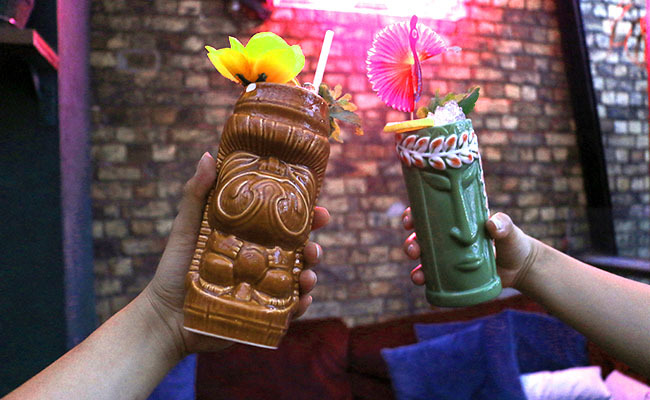 For fun and colourful surroundings, head to Talulah - a tiny tiki bar with rooftop views across the harbour. You’ll find more than just pina coladas on Talulah’s extensive cocktail list. 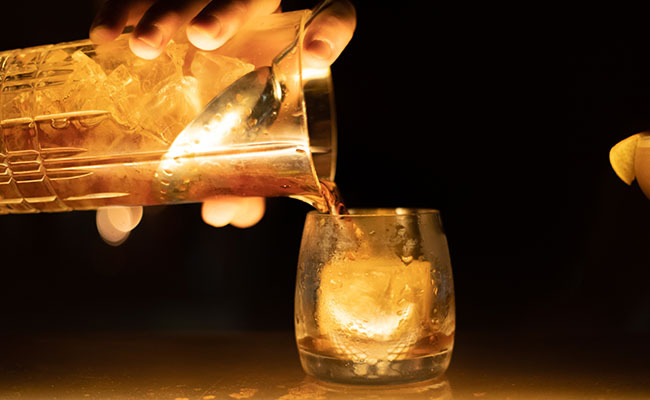 Whether you’re into classic or experimental concoctions, there’s a drink for you. Take a trip back in time to Caretaker, a New York style cocktail bar that is perfect for small groups looking for an intimate evening. 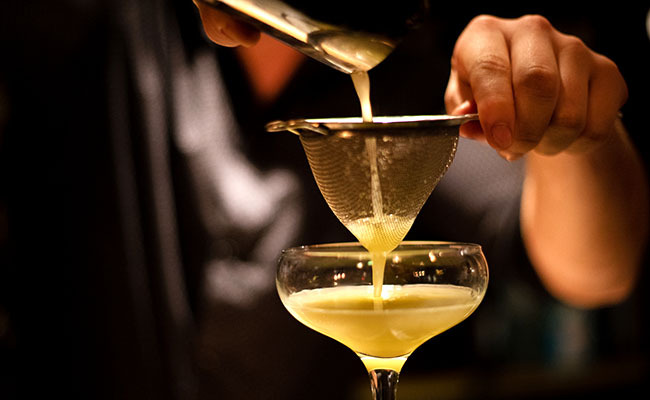 Inspired by the golden era of bartending, Caretaker believe in simple but well-crafted drinks. Plus, enjoy live jazz every Sunday, Monday and Tuesday. Fukuko is a Japanese bar with a unique offering of East meets West fusion drinks and snacks. The bar’s specialty is shochu, a traditional Japanese spirit that features in fascinating cocktails. 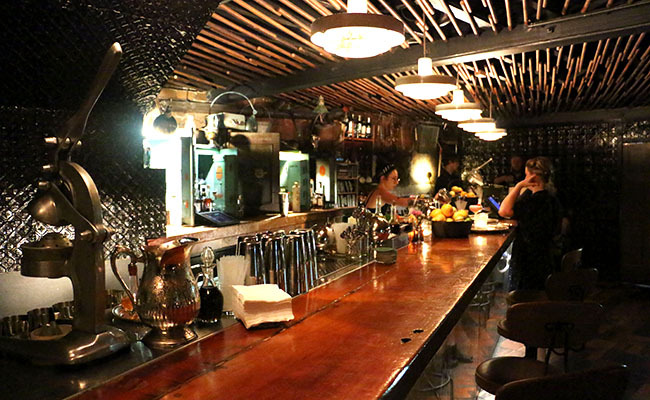 With its industrial aesthetic, Fukuko is a guaranteed cool way to kick off an evening with friends. Cocktails aren’t really your scene? 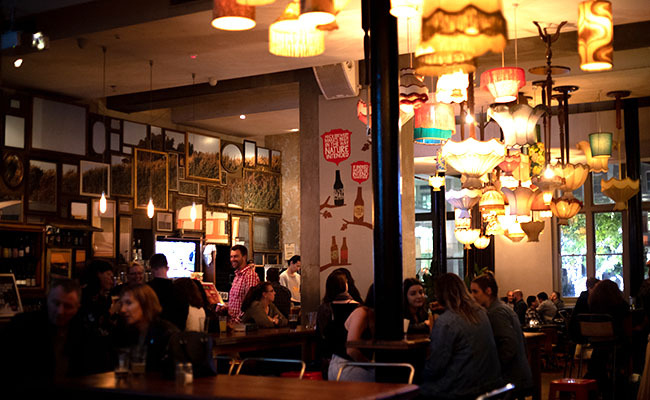 Make your way to one of Britomart’s pubs for a relaxed atmosphere and great brews. Located at 102 Quay St, Brew on Quay suitably serves 102 beers - including a craft tap beer that changes monthly. Foodies will be kept happy, with a great menu to complement the drinks. With nooks, crannies, and a rooftop terrace, Brew on Quay is great for both hiding away and hanging out. Northern Steamship is a Mac’s Brewbar, and naturally serves a range of the beloved New Zealand brand’s beers on tap, along with a well-matched food menu. 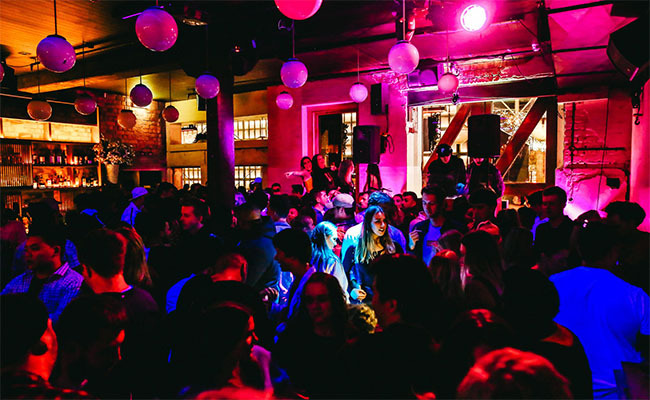 Located in a stunning heritage building, the bar has everything you could need on a night out - with DJs, a dance floor, and big screens for live sport. With 14 constantly changing tap beers, there’s always an excuse to head to The Chamberlain and sample what’s new. As a gastropub, The Chamberlain balances good beer with good food - a hearty menu making it an ideal spot for meat lovers. Deep-fried pie, anyone? If you aren’t ready to call it a night, there are a number of locations where you can dance the evening away, or take in some live music. Spend an evening among the multiple floors of 1885. For a comprehensive selection of wines and cocktails, both the main and basement bars have you sorted. 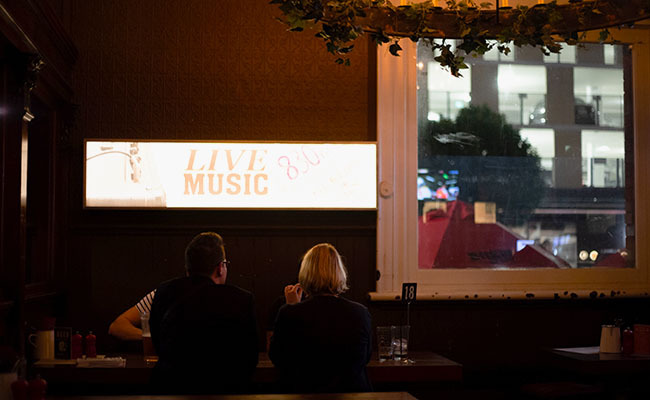 1885 is known for their range of music - live jazz, soul, blues, and funk, before DJs work their magic well into the night. Orleans stays true to its namesake, offering soulful food and music that transport you to the famous Louisiana city. While you dine on a Creole-inspired menu and a delicious selection of dessert pies, your evening is sound tracked by excellent live jazz and blues performers. 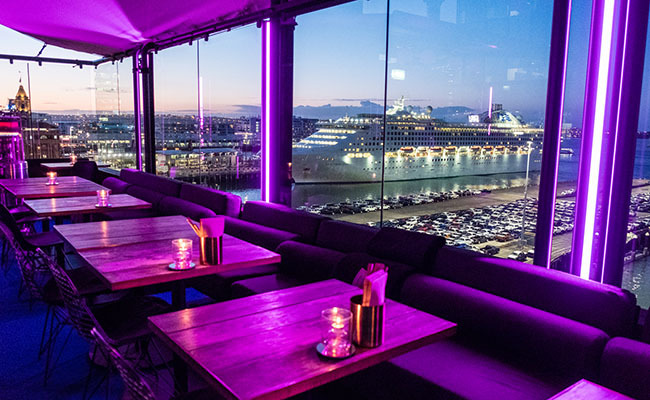 Seven is a rollicking rooftop bar looking out onto the harbour - an exceptional view framed by a glowing light installation. The pan-Asian food and cocktails are fantastic, but you may find yourself putting them down in exchange to dance when the DJs get going on weekends.